We leave for Costa Rica in five days. 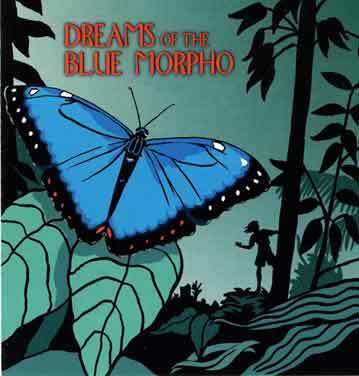 In preparation, I spent an evening listening to ZBS Productions audiocast of Jack Flanders’ latest adventure, set in Costa Rica, titled “Dreams of the Blue Morpho” (details of the recording are available at The ZBS Foundation). Once we get settled in to our hotel in San Jose on Friday night I will try to get a post up, explaining where we are going and what we expect to see. Hopefully photos will flow shortly after that. By way of background, here is some general information about Costa Rica, courtesy of one of the innumerable websites focused on this Central American paradise. On his final voyage to the New World in 1502, Christopher Columbus came ashore on Costa Rica’s Caribbean coastline (near Limon) and the indigenous Indians presented him with an offering of gold. The lure of riches in the Americas was a strong magnet for European adventures of-the-day, but those that ventured to Costa Rica were confronted by an inhospitable landscape of coastal swamps and hostile Indians tribes – and most did not survive. The Spanish persisted, and by the mid-16th century a few small settlements were successfully established; Cartago was declared the capital, and the colony was ruled by a governor appointed by the Spanish empire’s regional capital of Guatemala. Unlike neighboring colonies, Costa Rica was slow to grow, and remained a collection of subsistence farmers for the next two centuries. With very few exports of real value, it quietly remained off the radar screen of the Spanish Crown. After the overthrow of the Spanish King by Napoleon, Costa Rica and others declared their independence from Spain in 1821. Then, Costa Rica, as well as El Salvador, Guatemala, Honduras and Nicaragua formed the United Provinces of Central America, but that federation quickly dissolved, and Costa Rica became an independent state in 1838. Juan Mora Fernandez (the first head of state) encouraged the cultivation of coffee, and over time the powerful coffee barons helped finance a political revolution that would change the country forever. Over the next century an assortment of presidents and ambitious military dictators came and went, but for the most part, Costa Rica avoided the chaos of bloody coups, rebellions and citizen revolts endemic to other Central American countries. In the mid-1900s, democracy was the order-of-the-day, but when the United Social Christian Party refused to leave power after losing the 1948 general election, civil war was in the wind. The opposition in that brief 40-day uprising was led by Jose Mar¡a (Don Pepe) Figueres Ferrerhe, and in the end he founded a new republic; banned the Communist Party; women could vote; blacks gained citizenship; and in a brilliant stroke of governing he abolished the armed forces and established a term limit for all future presidents. When Don Pepe died in 1990 (a justifiable national hero to this day) his innovative leadership had earned Costa Rica an enviable international reputation as a peaceful, stable democracy in a region of instability. Today, driven by agricultural products (especially bananas and coffee), and strong tourism and technology industries, Costa Rica enjoys a high standard of living, and remains the true success story of Central America.